The little pictures can make for hilarious additions to conversations, though the newest Emoji will only be viewable by other people who have upgraded to iOS 6 as well. They can also be used to communicate entirely on their own, and of course, they’re just plain fun, so enable the Emoji keyboard and enjoy. Emoji has long been popular in Asia and is starting to gain more popularity in the United States and Europe, probably partially because of the iPhone’s support of the feature. Outside of bringing another dimension into conversations and comments, the icons can be added into folder names to customize the appearance of them, and Mac users can also access Emoji from OS X 10.7 and later. how do i use this on my Mac on Messages? My iPhone 4 is running iOS 5.1.1(9B206) and Emoji is already on there. Too cool! 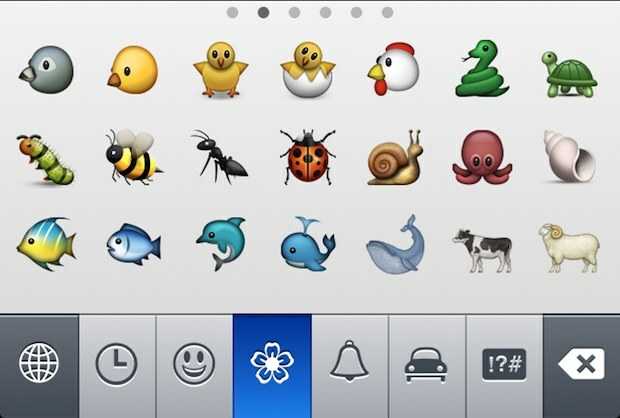 Yes Emoji came with iOS 5, but iOS 6 adds tons of new emoji graphics. 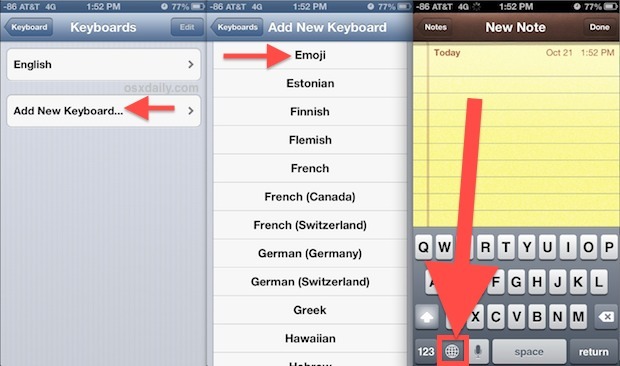 If you like emoji, iOS 6 is worthwhile! Emoji #1 was veiwable on the later versions of 4.X and became usable in ios5. Emoji #2 was veiwable in ios 5.1.1 and became usable in ios 6. For some reason other iphones can’t get my emojis! I get theirs just fine. It worked fine and then all of the sudden no one can see them all they get are symbols and @ signs. I just dont get it… Any suggestions?